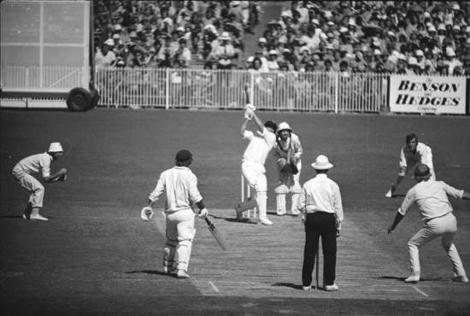 Greg Chappell’s team beat England in the Centenary Test, remarkably by exactly the same margin as 100 years previously. Don Chip launches a new political party called the Australian Democrats, and tragically 83 people die in our worst train accident at Granville. I was at high school, counting Art and Technical Drawing among my favourite subjects. Although I never went on to study architecture, I have retained a love for design and placemaking. Until last week I had a clear favourite book on the topic, Alain De Botton’s The Architecture of Happiness. A couple of weeks ago I began reading for the first time Christopher Alexander’s 1977 classic, Pattern Language. For some years now I have been exploring and wrestling with the meaning of ‘generative’. Indeed, I have been so captured by the concept that we’ve developed the Generative Edge brand. I first came across the concept in my association with the Society for Organisational Learning, and the work of related people including Peter Senge. In that context the word is used to mean ‘life-giving and sustainable’ and is used most frequently to describe a social technology to bring about systemic change; ‘generative dialogue’. This is how I first started using the word. But I sensed there was more. I discovered that the word had at least two other common, if technical uses; generative grammar, and generative music. To understand what these could possibly be, we need to dig deeper into the meaning of the word. In linguistics, generative means: ‘using rules to generate surface forms from underlying abstract forms’. Just last week in this blog I mentioned Noam Chomsky who developed a system for determining the structure of well-formed grammar based on underlying concepts, ‘generative grammar’ or what became known as transformational grammar. The brilliance of it is breathtaking. ‘Generative grammar’ made explicit principles that native speakers use unconsciously. Brian Eno did for music what Noam Chomsky did for grammar. As a minimalist artist, Eno discovered music and worked with some great innovators including Roxy Music, David Bowie and of course U2. Wikipedia describes generative music as ‘ever different and changing that is created by a system. In other words, generative music is real audible music that is generated by a set of underlying rules or principles. Not surprisingly, generative music is typically computer generated. During 2010 I began writing some thoughts on generative living. I am fascinated by the idea that ‘well formed living’ is an expression of underlying, well understood rules or principles. So, when I began reading Pattern Language, I instantly recognised it as another brilliant piece of work on generativity. In this case ‘generative design’. So, perhaps you are reading this and have had the same thought as I’ve had. The great religions of the world encapture a ‘code of conduct’ that could be described as ‘generative living’. The problem of course is that it can get tangled with so much other unhelpful stuff. To use the dictionary language, the ‘surface form’ becomes the end game rather than the ‘underlying abstract forms’. So my body of intelligence is growing. I am still a way off from figuring out if there is such a thing as generative living, but I’ve certainly got some ideas beginning to formulate. 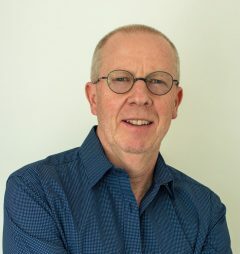 Well, of course there is such as thing as generative living, we see it in exceptional people, people who Clive Hamilton describes in The Freedom Paradox as ‘avatars of virtue’. The question is, how do we articulate this set of principles. So here I am in 2011, wrestling with some stuff that Christopher Alexander had some great insight into way back in 1977 when I was watching a young David Hookes cover drive Tony Gregg for three boundaries in one over, without a care in the world.